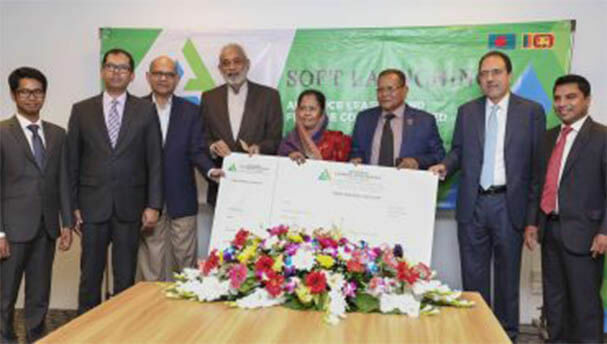 Dhaka, November 30, 2017: Alliance Leasing and Finance Company Limited (ALFCL) is a Joint Venture Financial Institution with multinational collaboration in Bangladesh, licensed by Bangladesh Bank. Our major sponsor is People’s Leasing & Finance Plc, who are the market leaders in the NBFI sector of Sri Lanka. The local sponsors include large corporates and individuals with impeccable record and proven goodwill. They are titans of industry by their own right. Local sponsors include representatives from companies such as Summit Group, Rangs Group, Alliance Holdings Limited, Green Delta Insurance Company Limited, Rabab Fashion Industry Limited and Concept Knitting Limited. With a robust IT System and strong customer-oriented culture adopted from Sri Lanka, we aim to provide technologically innovative financial services to the Corporate, Retail & SME sectors of Bangladesh. Mr. Jowher Rizvi – Chairman, Mr. Hemasiri Fernando, Mr. Lutfe M. Ayub, Ms. Fahima Akhter, Mr. Jehan Prasanna Amaratunga, Mr. Michael Pradeep Amirthanayagam, Mr. Johnson Anthony Fernando, Mr. N. Vasantha Kumar, Mr. M.A. Mohamed Rizwan, Mr. A. S. Ibrahim, Ms. Ayesha Aziz Khan, Ms. Sohana Rouf Chowdhury and Ms. Farzana Chowdhury.